Like a lot of young kids at the age of five, I really wanted to be fireman when I grew up. It was all about the uniform, the brilliant red fire truck, the sirens, the adventure, the heroism and of course the poles. I couldn’t think of anything better in the world than getting straight out of bed and riding down a pole to work. Well in Firefighters: Airport Fire Department I can live out my lifelong dream of being a fireman. But guess what? There are no poles. This is just the first of many disappointments and the shattering of my dreams. 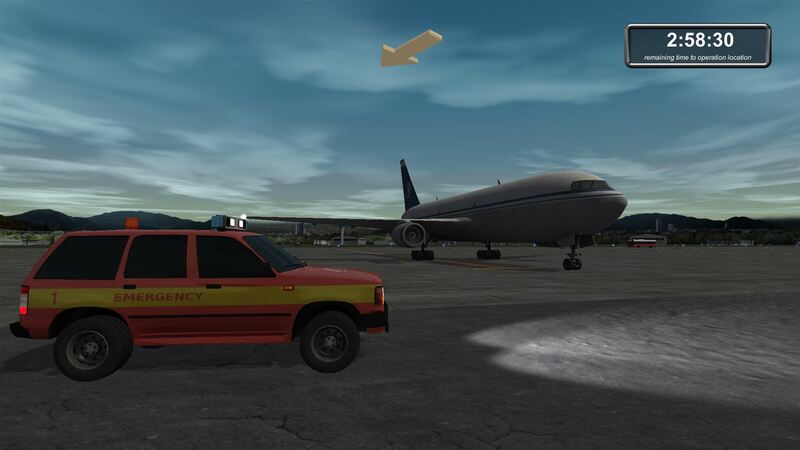 You start the game on your first day as a trainee fireman at an airport fire station somewhere in Germany. I think. The chief takes you around the station, showing you his office, the toilets, another office, a bedroom, another bland lifeless office and… oh look, another office with screens. There are a few other firemen walking around the station – very slowly – with some of these passing straight through the chief like they are ghosts. They also look exactly like the chief, except for a little less grey hair, and it’s all very much like a Twin Peaks episode where the clones are in control of our lives. The firemen are so similar in fact that I had to restart the tutorial a few times because I ended up following the wrong clone, thinking it was the chief. You’re then introduced to the fire vehicles themselves, and these come in three categories. There’s a fire car, which is like a small Range Rover, with a fire extinguisher inside. You then have a fire truck with some hoses – which never seem to be connected to the truck – and some cooling fans. Then there is the pride and joy of the department – the Panthers. These are huge trucks, which have water cannons on the roof, and you can control these from within the truck. Everything about these vehicles seems cool, no? But the chief isn’t finished with me there as quite obviously I need a tour of the airport. This induction seemed to take a lifetime and basically consisted of him pointing out runway after runway. But I was ready now, fully trained and prepared for my dreams to come true. When the time arises, you pick one of the vehicles you’ve been assigned to – with that dependant to your rank – before being given a description of the accident you have to deal with. Then an arrow points you in the direction you need to go and the clock starts ticking. As you arrive in the area, you evaluate the size of the fire, determine the best tool for the job, put the fire out, get some upgrade points and your job is done and the waiting game begins again. In the first few days the fires are small, mostly in bins or bits of random hoardings which are, for some reason, alight. Then things move up to the landing gear of small planes before those pesky fires hit the big jumbos. After the end of each day there’s an evaluation report of how well you’ve done, whether you put out all the fires and the number of points you gained towards any promotion. But after playing the game for a while, I was left with many questions. Why is the fire safety record of this airport such a major problem, surely there would be national outcry? Why does the chief keep calling me the new recruit, even after I’ve been promoted to fire chief? Where are the actual people in this airport? Apart from my clone friends, there is no one. Why am I living at the airport and why haven’t I unpacked my bag? There are so many questions that my head hurts just thinking about it. Firefighters: Airport Fire Department doesn’t play well, and it doesn’t look great either. It is full of blocky graphics and vacant rooms which are straight out of a 1994 corporate training video for an air conditioning firm. The character animations are strangely weird and although the engines look good, the airport world which it is set in is dead and vacant. 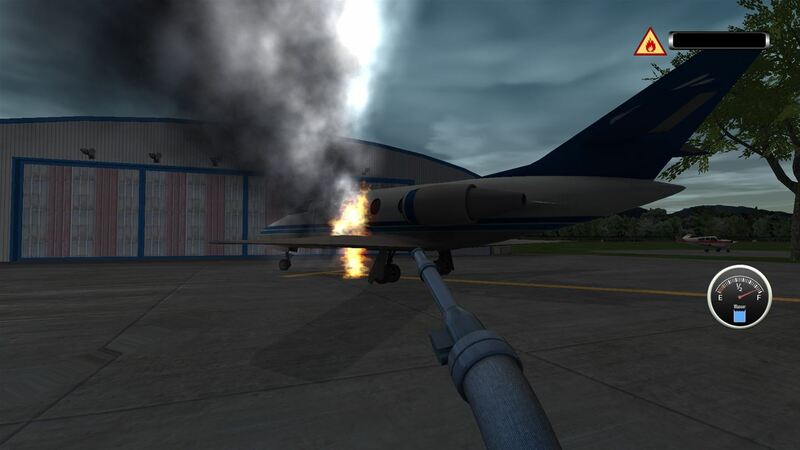 The fire mechanic is awful for a game of this generation and when a plane’s fire is put out, it doesn’t seem to leave any burnt scarring. I could go on, but I won’t. One small crumb of comfort is in the audio effects and strangely the siren is satisfying to listen to and never gets old. The soundtrack is annoying though, so turn it off and sort your own musical accompaniment instead. If you couldn’t tell by now, I can’t recommend this game at all. 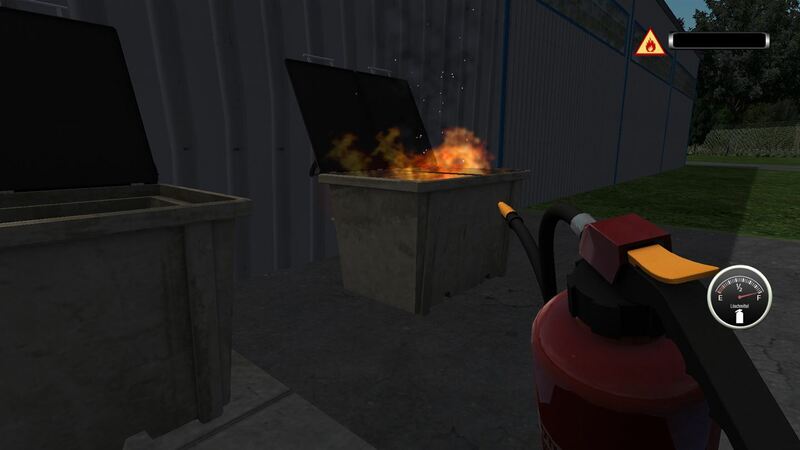 There are moments which point to the game being broken, where I would attend a fire, to find said fire has either extinguished itself or never existed in the first place, but then the game doesn’t let me progress further, resulting in switching off and starting the day again. 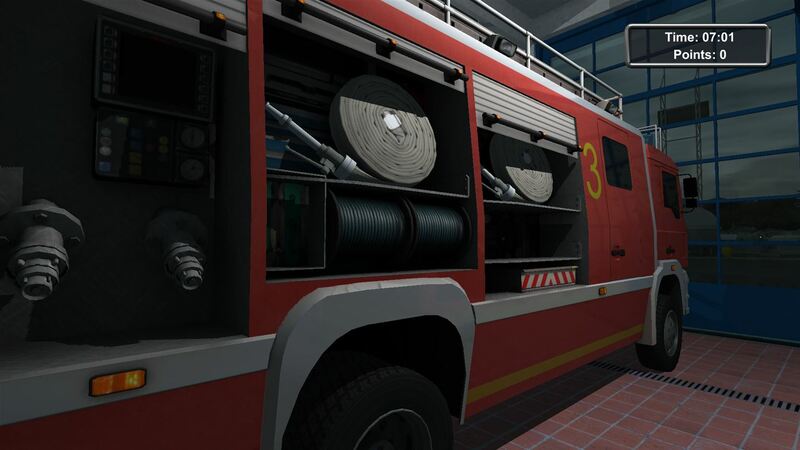 If this really is a sim, one that tries to portray how dull and dreadful an airport firefighter’s life is, then the developers have achieved their goal. But I’m not sure that was the intention. Previous articleWhat to Expect at Play EXPO Manchester 2017 – now updated with more games!